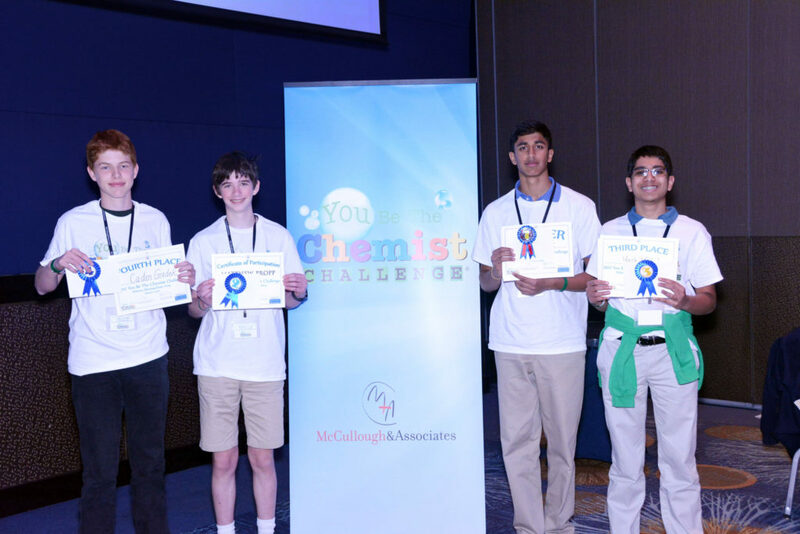 McCullough and Associates was proud to once again be the sponsor of the You Be The Chemist® Local Challenge in Atlanta. On March 11, 2017, local students came together at the Georgia Aquarium to compete for the top prize. 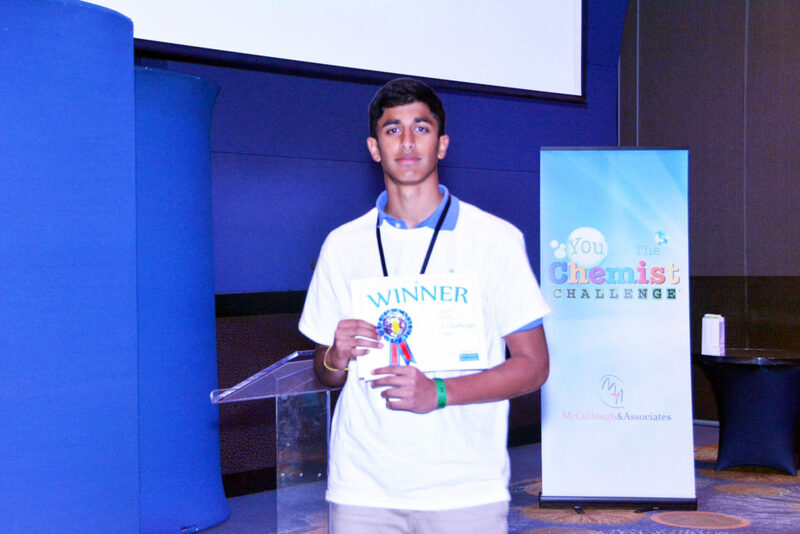 After correctly answering dozens of chemistry and general science questions over multiple rounds of competition, Kiran Gadde from the Westminster Schools bested a field of 40 fifth- to eighth-grade students and was declared the Atlanta Metropolitan Area Local Challenge Champion. He will advance to the Georgia State Challenge to be held at the Georgia Institute of Technology’s Molecular Science & Engineering Building in Atlanta on April 29, 2017. Congratulations to all the participating students and special thanks to the sponsoring teachers who impact students’ lives each day with science and chemistry. 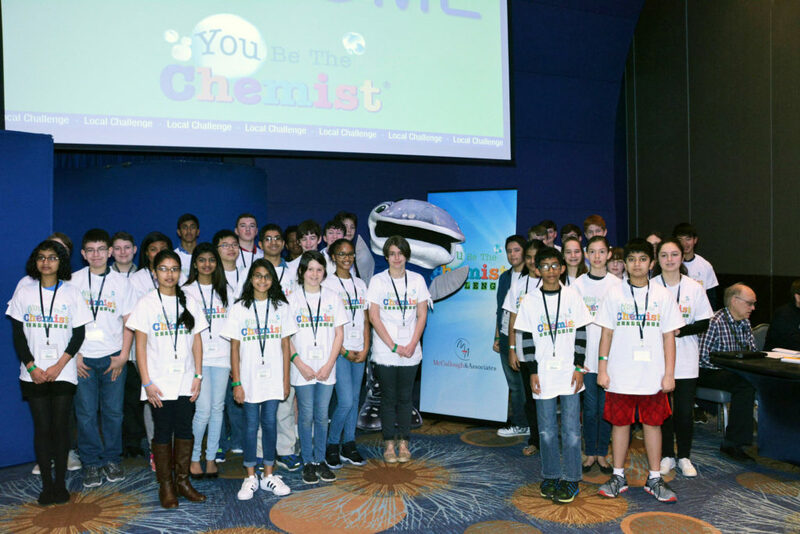 Developed by the Chemical Educational Foundation® (CEF), the Challenge is an exciting question-and-answer competition that motivates fifth- to eighth-grade students to sharpen their knowledge of chemistry concepts and chemistry’s real-world applications. Students compete for prizes at the local and state levels. Each state winner will receive an expenses-paid trip to Washington, D.C. to compete in the National Challenge on June 19 and to vie for $18,500 total in college scholarships. The Challenge program relies on partnerships among community members, including industry, schools, universities, and community organizations, that seek to foster student engagement with science.